Polish game developer Ifun4all has just reached out to let us know that their two games known as Red Game Without a Great Name and Green Game: TimeSwapper will be coming to the Switch eShop in the next few weeks. These games have made an appearance previously on Steam, iOS and Vita, and now Nintendo Switch owners will get the opportunity to examine their strength and agility in these challenging 2D arcade outings which take advantage of Switch’s touch screen. 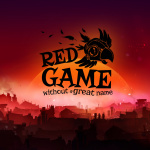 Red Game Without a Great Name is an easy to start but hard to master 2D puzzle game in which everything wants to kill the main hero – a brave biomechanical bird. It’s hard to imagine, but in our game even a camera might be an obstacle if you don’t swipe on screen fast enough. Lose one's attention and you’ll probably die very soon. 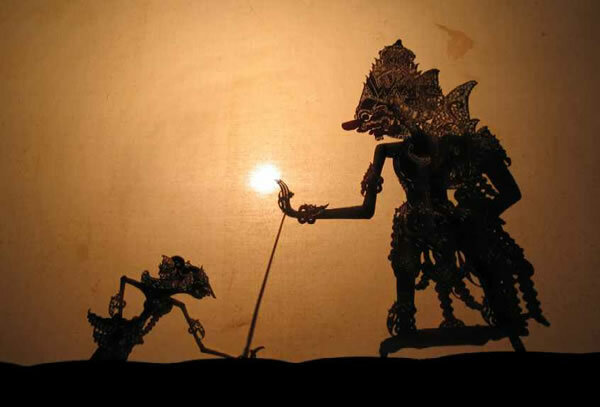 In this hostile, steampunk world players will encounter other dangerous elements like spikes, barbed wire and windmill blades. But don’t worry, the bird has a special ability to teleport and it can use one of three different power-ups giving you invincibility, the power to crush crumbled walls, or a speed boost. Thus, the journey is more bearable. 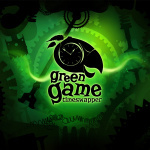 Green Game: TimeSwapper is a sequel of the Red Game and it’s the same in case of difficulty and engagement, but totally different when it comes to gameplay. The main concept is still about flying a biomechanical bird in a steampunk world (now in atmospheric shades of green), but these time its main ability is time control. Although the colour is different, the amount of obstacles won’t make it easier – the blades of windmills will slice the bird, pistons shall squash it and spiked gates are going to crush it. The bird moves on its own, and you cannot stop it. Control time to deactivate traps and activate the steam generators that will change your movement direction. Now is even more important to plan the route and predict next moves. Make sure the bird reaches the cage without dying. Plan your route and show your reflex skills by beating the most difficult paths to the end of each level while gathering all of the gears along the way. Let us know if you are excited about these two upcoming games from Ifun4all with a comment below. Where are Blue Game and Yellow Game?! Better get this game with my Red and Green Joy Cons. Intriguing games, offering something different for a change. I like the gothic/steampunk look as well. I saw that sub-heading, "Timeswapper" and immediately thought, "Timesplitter" and dreamed of a day that Timesplitters would be released for play on Switch. A girl can dream. So I guess the sequels will be titled Gold Game and Silver Game?? @AirElephant I never even considered that and now it's all I can think about. Look up TimeSplitters Rewind. It's a fan project at this point, and only for PC. They're struggling to develop using the current iteration of the Cryengine, but they seem devoted. Also, they have been talking with Crytek and at this point, Crytek is not raising any objections. These projects tend to fizzle or are shut down, but there is a slight hope that it will come to fruition. @AirElephant Shame the Rewind or whatever project is destined to never hit Nintendo consoles. Loved Timesplitters very much. Another mobile game. I have time swapper on my phone, it cost 2 dollars. All we need now is all the garbage mobile runner games start hitting the Switch. @AirElephant Already following that crew on Facebook and everything. Would be fun if they get to finish it, but would obviously prefer a more professional port on my PS4/XB1/Switch. I though Hal labs copyrighted simple contrasting colors naming scheme?! These are 3$ each on steam. Hope they'll keep it that way and won't try milking Switch owners yet again. The tone of the first trailer does not match at ALL with the second trailer. Trailer for the first game was dark and foreboding. Second one had a snazzy synth. Is themeing not a thing anymore? @Tibob I'm going to think they will raise the price. My guess is 12.99 if they do the usual. Oh they will continue to milk us. Is it gonna be like the red band trailer and the green band trailer for Deadpool? Can't wait for the 2037 mobile AR version of this pair of titles, titled GO Game. @ThanosReXXX I saw something like that in Tekken Tag 2. @Randomname19 I'll have to take your word for that, since I never played that game, but I do like little fun facts like that. It shows that people are paying attention to more than just the general goings-on in games, and I like people who are more aware than the average. Can't wait for the spinoff, Purple Game: Defenders Of The Color Wheel. I used to call Super Metroid the "red game" when I was like 4-5 years old since it had a red cover. At first glance, I thought the thumbnail was of a Splatfest..
i wish it was called clear game so i didnt have to see this crap! I love the amount of attitude on display here. The song for Red Game is certainly a fresh kick in video games. I could part with a tenner for both games as a bundle. I won't spend one on just one game ! @Randomname19 So, you're either REALLY good at Tekken, or really bad, if you have enough time to notice all the details in the background. Lol, very original names! Both games look okay, I guess. @Tibob I figure at some point people will get tired of being gouged. I thought it would be before now because of the shovelware titles now hitting the Switch Shop. Not that these are shovelware. I still think a majority of people prefer physical releases, but this onslaught of digital releases might get old real fast. To be honest with all these digital titles there are some quality games but to me less than half are not good or great quality. In a way its good we have these games to choose from. If we werent getting these digital games , the system would seem pretty bad with rare physical releases. These digital releases are keeping it going but I am begging for some good physical product. The holiday release looks good with a few physical releases.